Get more traffic and conversions with our premium campaign management services. Pay-Per-Click advertising helps you quickly reach more people who are actively interested in the products and services that your business offers. 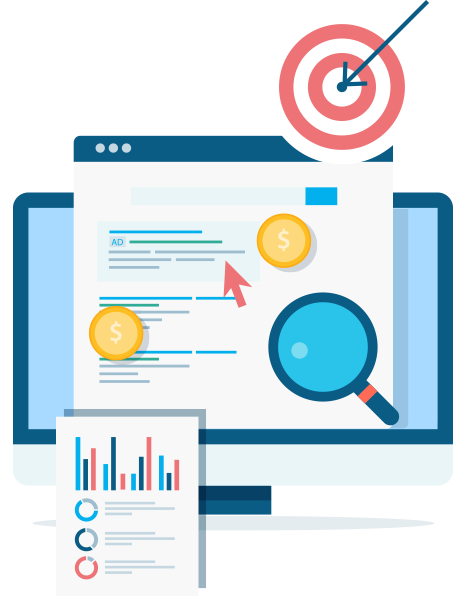 Our experience allows us to build, manage and continually optimize PPC campaigns to achieve the best ROI for your ad spend with PPC management services that focus on your bottom line. When you put ad budget toward pay-per-click ads, you want results that help drive your business — whether you’re a small business, a larger business, a marketing agency, we manage accounts of all sizes. We will craft the perfect PPC strategy to fit your business’s marketing goals and budget. Our conversion-driven campaigns focus on getting you leads and sales. 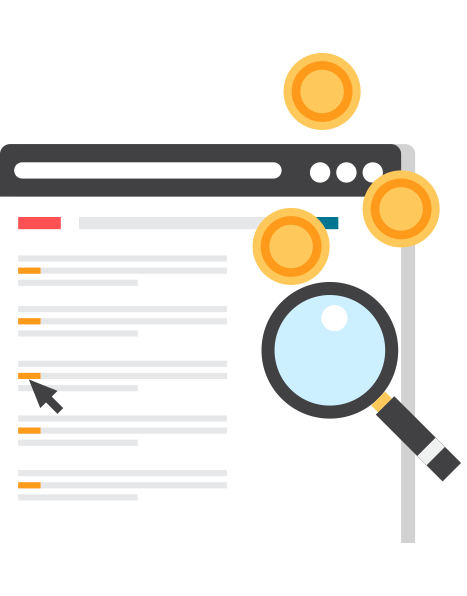 If a keyword, ad text or landing page is not converting, we re-optimize your cost per-click (CPC) bids and constantly push for better click through rates (CTRs) to ensure you’re always getting the best bang for your buck on ad spend. Our team of highly experienced PPC marketers are able to handle every aspect of your marketing campaigns: search, social, remarketing, affinity audience targeting, shopping ads, you name it. If you are a new business or have never done paid advertising, we can help set up your accounts from scratch. If you have an account that’s been neglected or just not performing how it used to, we can clean it up and make it a top performer in your marketing portfolio. If you want someone you can trust to completely manage your campaigns, we’re here to do all of the research, define strategy, execute on time and continually monitor campaigns to make sure we meet your goals. Whether you’re a solo digital marketer or a larger marketing agency that lacks an in-house PPC team of your own, we can take care of PPC for your clients. All of our products can be white labeled, allowing you to resell our services as your own – including keeping client campaigns under your direct control and management – allowing us access via our linked MCC account. 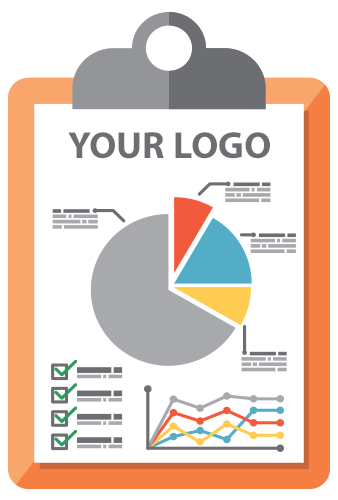 You’ll never see our name or logos on reports and we only communicate with the designated account contacts – your clients will never hear from us! Our campaign management services are affordable and flexible, with month to month contracts you won’t get stuck footing a bill if your client changes their mind and cancels. Let us free up your time and resources so you can focus on what’s most important for your agency — growing your business and attracting more clients. We perform an extensive amount of keyword research and competitive analysis. Research and strategy are crucial to us being able to create a strong foundation and achieve the highest converting campaign for your business from the start. Next we get started building out your campaign. You can provide your own copy or utilize our copywriters to take care of the ad copy that will help draw more leads and sales. You can also supply banner ads for us to setup in your remarketing campaign. We’ll work with you to setup all of the tracking required on your site to be able to accurately measure the success of your campaign. With a properly built out campaign and tracking in place, all that’s left is for us to press the button and launch your campaign. We continuously monitor and optimize your campaign to make sure it meets your goals. We adjust your bids to spend your money most efficiently. We update your negative keywords so your ads aren’t showing for searches that aren’t relevant or don’t convert. We adjust and test your ad copy to make sure your ads are convincing people to click, and your landing pages are convincing visitors to submit their information or make a purchase. What’s Included in your campaign management? We always work through the account that you (or your clients) own after getting access via our MCC account that you can revoke at any time. If you cancel, you control everything and have access to all of the work done — everything we set up for you will remain in place afterwards, no stress or mess! Can I review your keywords, ads and landing pages before the campaign is launched? Yes, we may have the expertise in managing pay-per-click campaigns but no one knows your business and industry better than you. We always get your approval to make sure we are using the correct terminology for your industry and our ad messaging matches your brand. 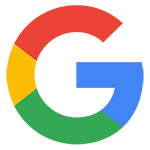 Do you only manage campaigns on Google Ads? No, we can manage your online ad campaigns on other platforms such as Bing, Facebook, Twitter, and more. If you have a specific platform or custom campaign in mind, give us a shout!